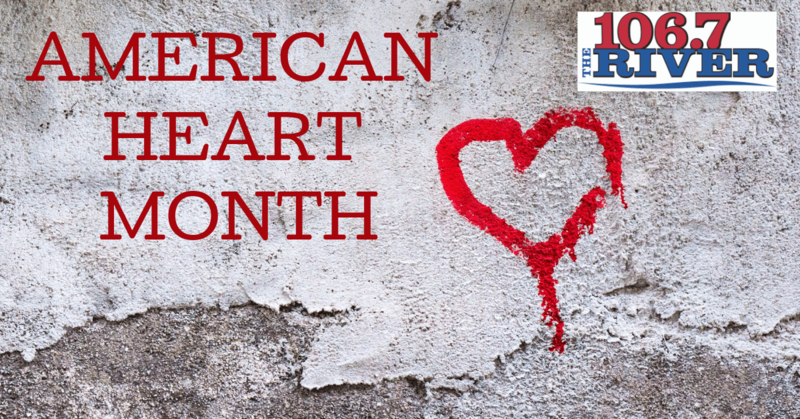 February is here, which means it’s American Heart Month, and The River and Air Services Heating and Cooling/All Service Plumbing wants to help you keep your heart healthy! Here are some facts and tips on how to keep heart healthy! – Choose foods low in saturated fat, trans fat, and sodium. As part of a healthy diet, eat plenty of fruits and vegetables, fiber-rich whole grains, fish and try eating some meals without meal. – Select lower fat dairy products and poultry. Limit sugar-sweetened beverages and red meat. If you choose to eat meat, select the leanest cuts available. – Be physically active. You can slowly work up to at least 2 1/2 hours of moderate physical activity, like brisk walking every week or 1 hour and 15 minutes of vigorous intensity aerobic physical activity such as jogging, running, or a combination of both every week. -Watch your weight. You May notice your metabolism slowing down in your 40’s. But you can avoid weight gain by following a heart-healthy diet and getting plenty of exercise. – Have your blood sugar level checked. In addition to blood pressure checks and other heart-health screenings, you should have a fasting blood glucose test by the time you’re 45. Testing may be done earlier or more often if you are overweight, diabetic or at risk for becoming diabetic.